Totally agree with these! don't worry Jesse isn't the only one without a bumbo, bundleme or the giraffe! Alexis has none either, though I have heard great raves about the bumbo and have seen quite a few babies with the giraffe. I guess I'm an uncool mom too. Hey maybe it's cool to be uncool since we find out our own ways without all the gadgets and gizmos! I had the first two for Rylan. I loved the bundleme-so practical. I plan on getting Sophie the giraffe for baby Sophia. I don't remember the Bumbo chair OR Sophie from when Sarah was little so I was obviously out of the loop too! I had a version of the "Bundleme" which is great! 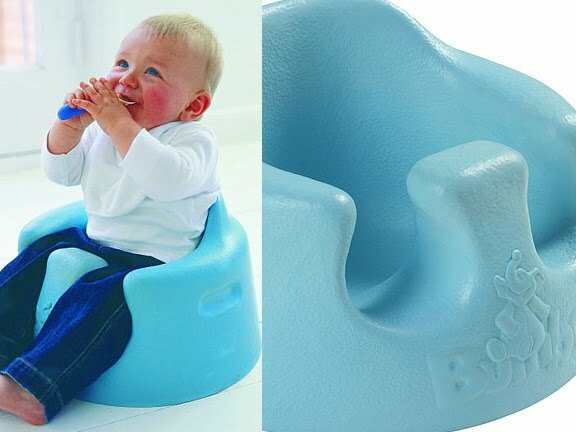 I hope to have Bumbo and Sophie for baby #2. Remember, having the latest trendy item is NOT what makes you cool! Christa seriously you are not an uncool mommy. My bro and his girlfriend gave Lucas the chair (he didn't like it) he hated being pinned down in the chair. I had never heard of it either. lol. "Sophie" was given to Lucas by my sis Tracey. He really liked her at first but now doesn't even seem to notice her much anymore. I didn't even know such thing exsisted. Oh and Myrna lent me the bundleme thing but I didn't end up using it because the weather was starting to get warm.